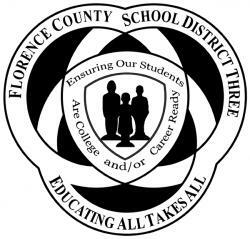 districtwide initiatives and programs that directly focus on accelerating the pace of closing the achievement gap, elevating achievement of all students, and increasing the graduation rate in Florence County School District Three. The Chief Academic Officer will supervise the Instructional Directors of Curriculum and Instruction to include oversight of principal management. This position provides support and leadership to the offices of Curriculum,Early Learning, Instructional Delivery, Support and Alternative Services, Innovation and Digital Learning, Quality Assurance and Accountability, and Professional Development. *Please note the application deadline date is for the convenience of the District.